Before you fly off to Ensenada on a whim, take some time to learn a few things about it. You'll find this town 550 miles (885 kilometers) south of Santiago, the national capital. Puerto Montt is a close-by noteworthy area that's only 25 miles (40 kilometers) to the southwest. Forget about the star attractions — it's the locals that make a place tick. In this part of Los Lagos, you'll find 1,000 of them. With no less than 400 airline partners and 665,000 places to stay, Travelocity can get you the lowest price on your Ensenada getaway. So, how do we do that? We'll bundle your accommodations and flights to save you money! From accommodations and flights to activities and car rentals, you've got the security of 24/7 personal assistance with our Customer 1st Guarantee. If you somehow spot a cheaper price elsewhere, we will reimburse the difference^. With no hidden fees from us, you never need to worry about having to change your itinerary. And so long as you get in quick, many accommodations don't charge fees either^. The Cabañas Anulen Bosque Nativo is the only listed property within a short commute of Ensenada, so we suggest booking your room well before your trip. Where do you fly into for Ensenada? Flying into Tepual Airport (PMC)? After you've disembarked and claimed your belongings, downtown Ensenada will be just 30 miles (48 kilometers) away. Can I rent a car in Ensenada? No matter if you're going to Ensenada by yourself or with a few buddies, it's always easier to have a ride. Travelocity provides many car rental options, so pick one and start crafting your road trip playlist today! There's nothing quite as humbling as a volcano. At Osorno Volcano Peak you can see one of our planet's most remarkable natural wonders that's been millennia in the making. Want more options? Calbuco Volcano is a breathtaking reminder of the innate energy of our planet's inner layers. And, there's more going on in the surrounding area. There's something magical about observing water rushing down the edge of a cliff. Try to stand as close as possible to Petrohue Falls and feel its cool spray hit your skin. The wonderful thing about traveling is that you seldom need to look for new experiences — they're right in front of you! So unpack your bags, put your feet up and get ready to make some outstanding new memories. Don't just fantasize about an incredible trip — actually have one. A Petrohue Waterfalls & Osorno Volcano Half-Day Tour should be added to your Ensenada to-do list. If you've checked out all the highlights in Ensenada and have a few more days on your hands, try not to panic. There are some fantastic attractions in the surrounding area. You might be unaware that you're just 25 miles (40 kilometers) from Puerto Montt. It's the perfect base point to reach Angelmo Fish Market. This attraction is well-loved by tourists of all ages and stages. 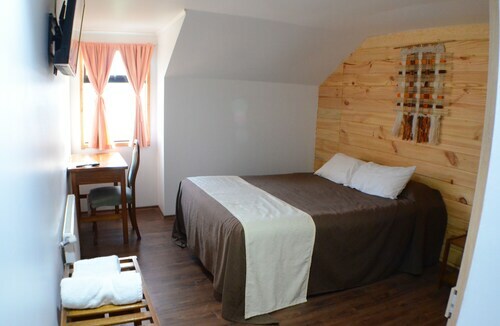 Situated in Puerto Varas, this cabin is 7.4 mi (11.9 km) from Petrohue Falls and 10.2 mi (16.5 km) from Volcan Osorno Ski and Outdoors Center. Situated in Puerto Varas, this hotel is within a 10-minute walk of Lake Llanquihue and Raddatz House. Pablo Fierro Museum and Puerto Varas Casino are also within 2 mi (3 km). 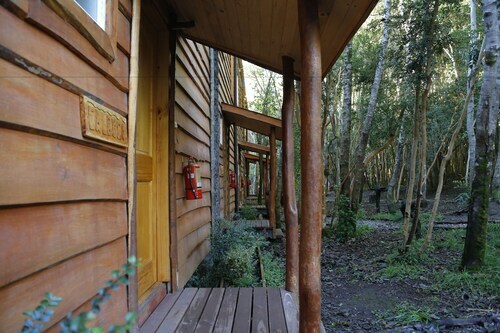 Situated in Puerto Varas, this hotel is 0.1 mi (0.1 km) from Lake Llanquihue and 6.6 mi (10.5 km) from Venado Beach. Petrohue Falls and Raddatz House are also within 20 mi (32 km). 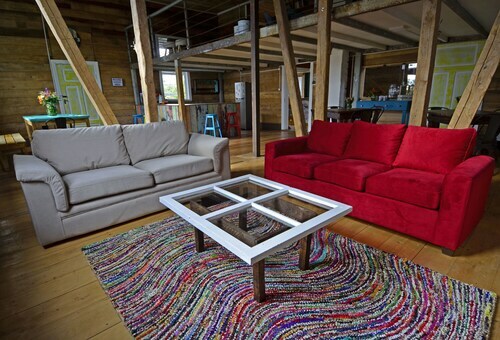 Situated in Puerto Varas, this vacation home is 0.4 mi (0.7 km) from Lake Llanquihue and within 20 mi (32 km) of Petrohue Falls and Venado Beach. Vicente Perez Rosales National Park and Volcan Osorno Ski and Outdoors Center are also within 25 mi (40 km). 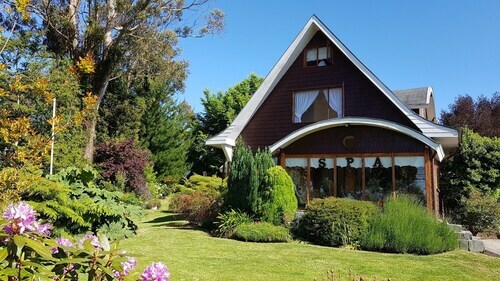 Situated in Puerto Varas, this spa bed & breakfast is within a 10-minute walk of Lake Llanquihue and Raddatz House. Pablo Fierro Museum and Puerto Varas Casino are also within 2 mi (3 km). 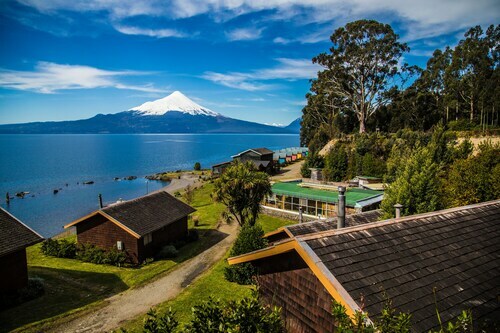 Located in the heart of Puerto Varas, this beach hotel is 0.1 mi (0.1 km) from Lake Llanquihue and within 6 mi (10 km) of Raddatz House and Pablo Fierro Museum. Puerto Varas Beach and Puerto Varas Plaza de Armas are also within 6 mi (10 km). 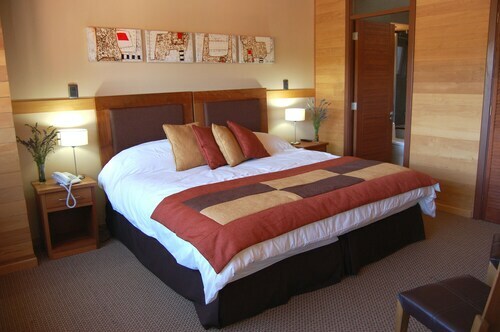 Situated in Puerto Varas, this hotel is steps from Lake Llanquihue and Raddatz House. Pablo Fierro Museum and Puerto Varas Casino are also within 2 mi (3 km). 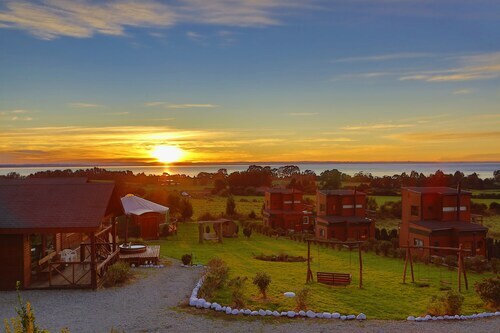 Situated on a lake, this hostel is within a 10-minute walk of Lake Llanquihue and Raddatz House. Pablo Fierro Museum and Puerto Varas Casino are also within 2 mi (3 km).